Q: Our parent company is located outside of National Capital Region. Are we still eligible to participate? As long as you employ at least 15 full- and part-time permanent employees in National Capital Region, you are eligible! Q: We have several companies operating in National Capital Region under one parent holding company. Each company has its own Employer Identification Number (EIN) and each has its own set of benefits and working environments. Do I need to register each company? Yes, we will treat each company as a separate employer and survey them individually. Each subsidiary company must still hold to the minimum requirement of 15 full- and part-time permanent employees working within National Capital Region. 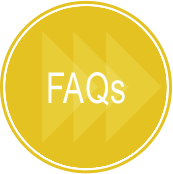 Q: We have several offices/facilities in National Capital Region that operate using the same EIN and same set of employee benefits and procedures. Should I register each company separately? Q: My company has employees working in National Capital Region but we do not have a physical office location. Are we eligible to participate? Yes, as long as you have employees working in National Capital Region and are able to provide an in-area mailing address for your business, you are eligible to participate. Only employees working in or directly reporting into National Capital Region are eligible to participate in the survey. Q: Our company has employees that work for our operations within National Capital Region but technically do not perform the majority of their duties within National Capital Region. Are they eligible to participate in the survey process? For remote employees to be eligible to participate, the individuals must report directly into National Capital Region. If the remote employees report to a remote regional manager, the employees would not be eligible to take part in the survey process. However, the regional managers are eligible to participate if they report directly to the office within National Capital Region. If you are uncertain about any employee’s eligibility to participate in the survey we encourage you to contact Best Companies Group for a final determination, as surveying ineligible employees may lead to disqualification from the competition. Q: Our company has employees in many areas. Will the survey apply to those who are out of program area? For this program, only employees working in National Capital Region are eligible to be surveyed. If you have 250 or fewer eligible employees in your organization, then the answer is yes! If you employ more than 250 associates in National Capital Region, a random sample of up to 400 employees will be selected to complete the survey. We will perform this random selection for online companies based on the list we receive from you through the Email Upload Portal sent shortly after registration. Managers, owners, and executives should all be included in the survey process as long as they are working in or reporting directly into National Capital Region. We want to hear their opinion, too! We do offer employee surveys in a variety of additional languages! There will be a $285 (CAN) fee per language to cover the cost of translation. Please select "yes" on the registration form to request additional language surveys.